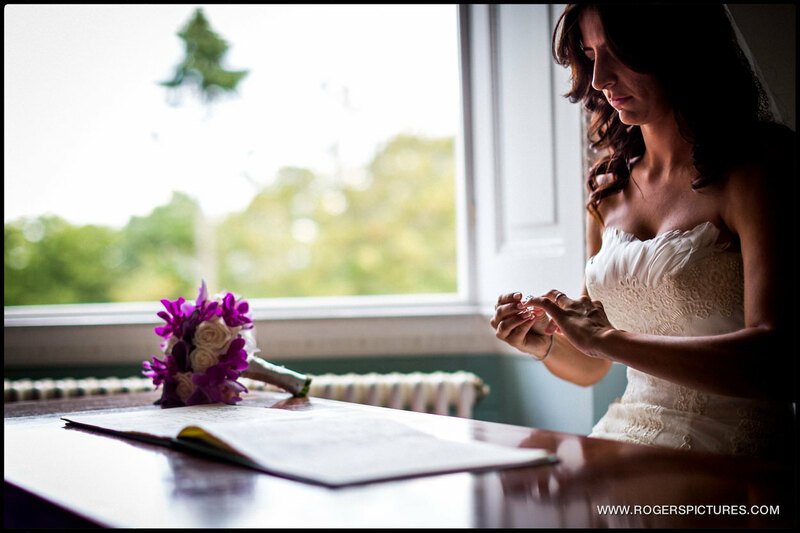 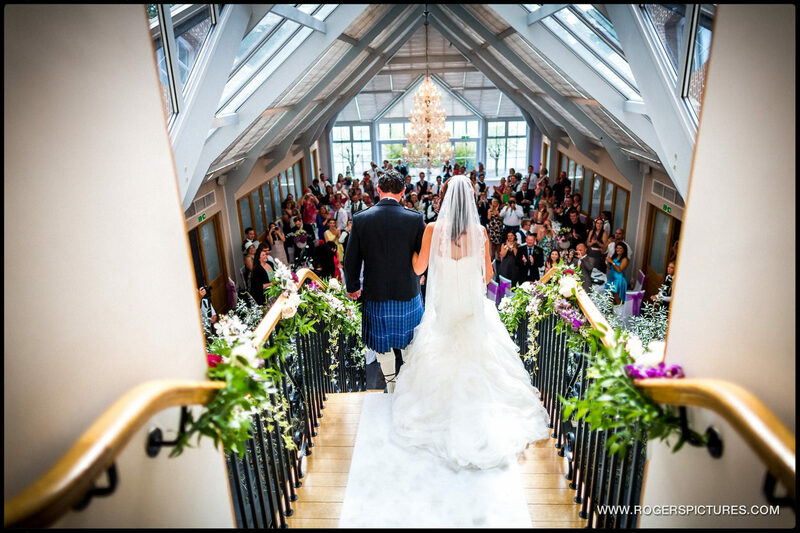 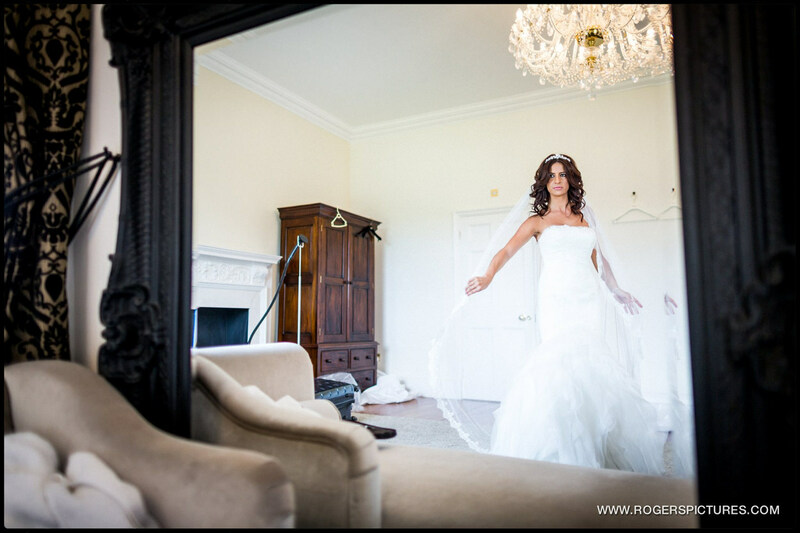 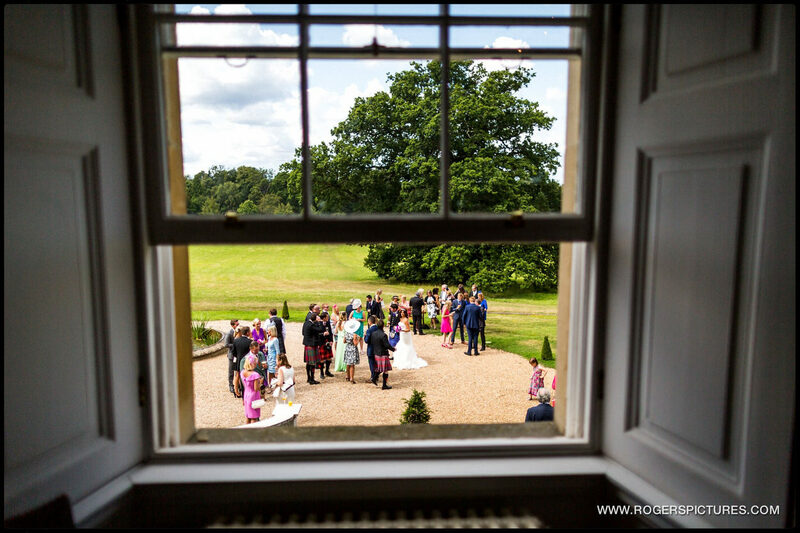 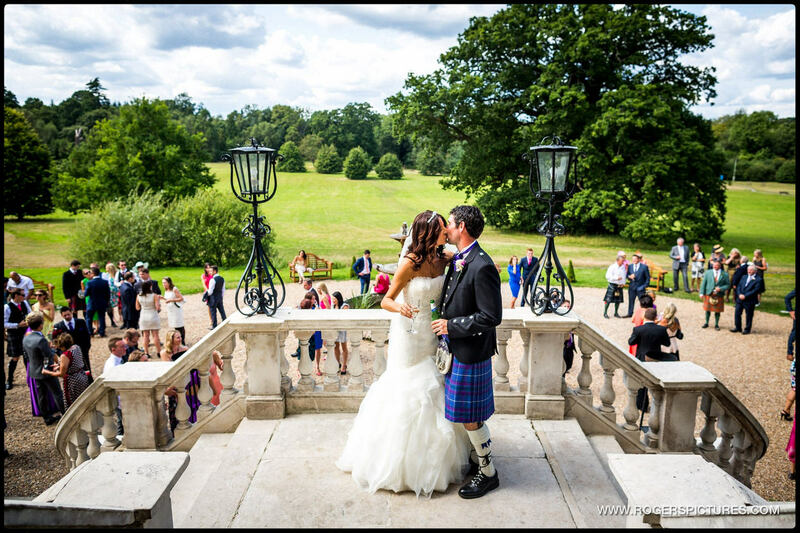 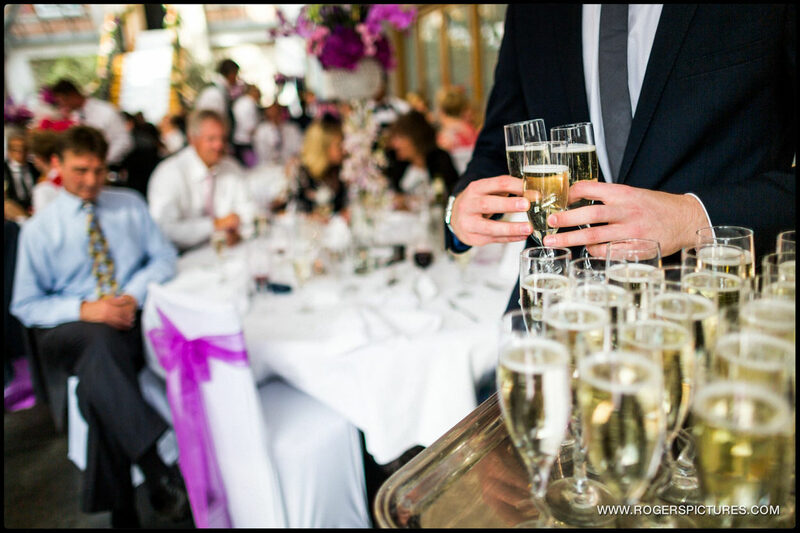 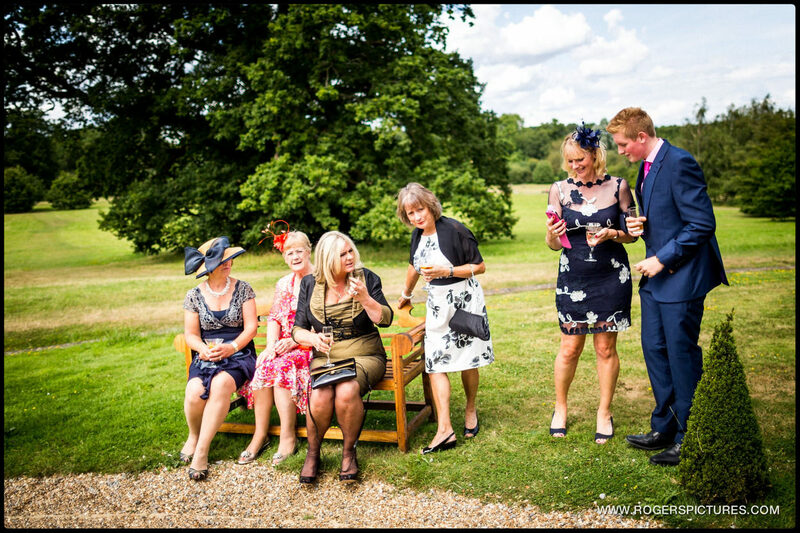 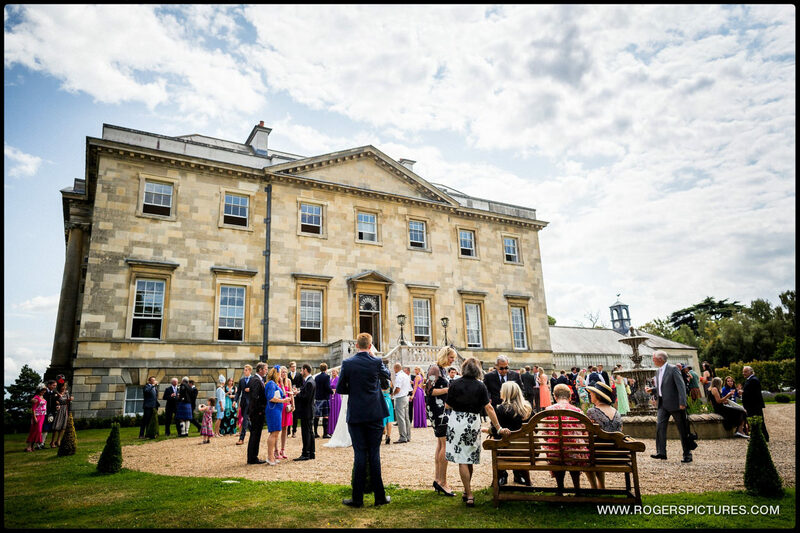 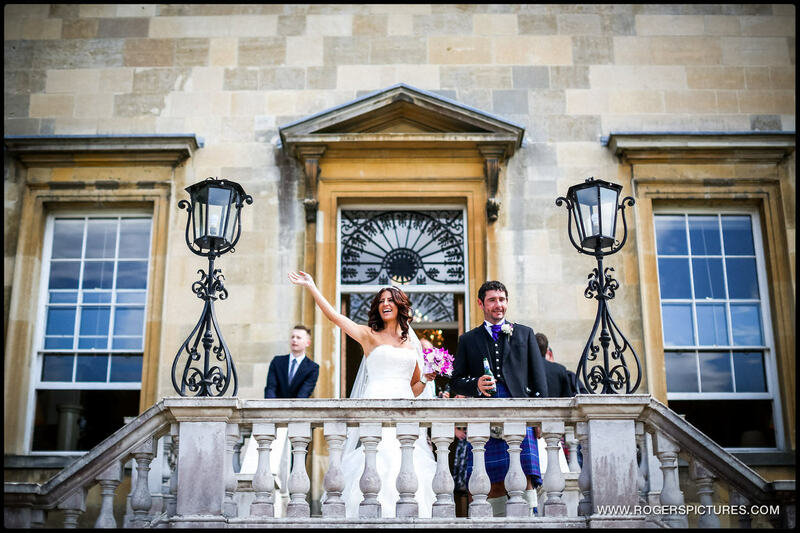 Botleys Mansion is one of the finest wedding venues in Surrey. 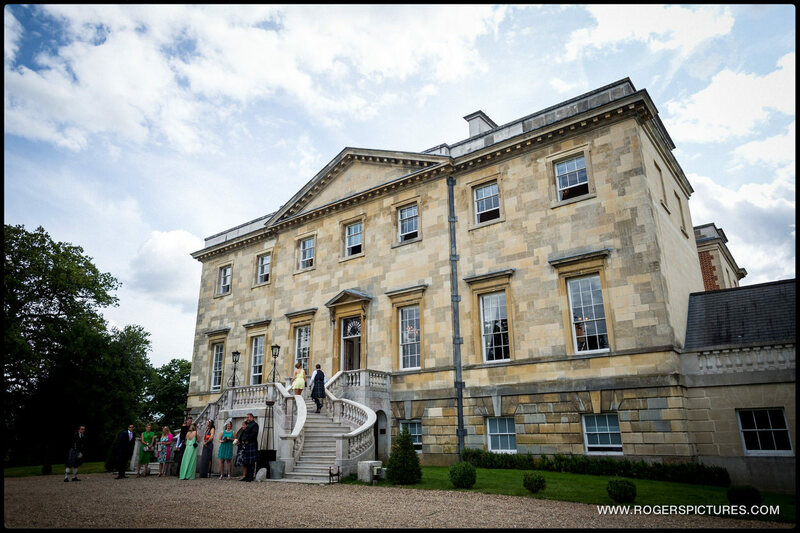 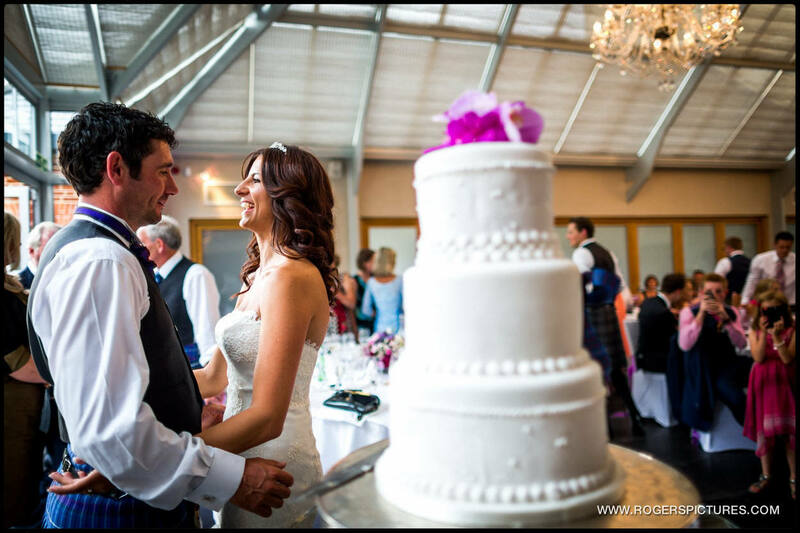 It’s a stunning country house surrounded by rolling hills, fitting perfectly into the Bijou collection of wedding venues. 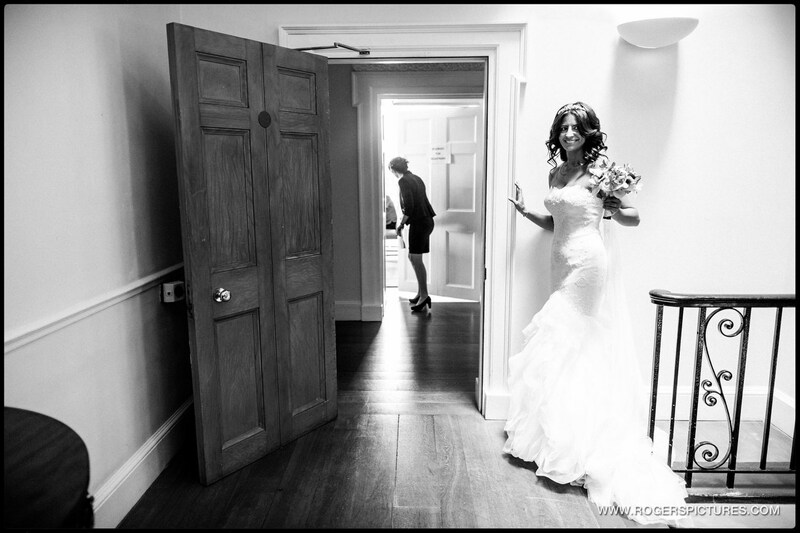 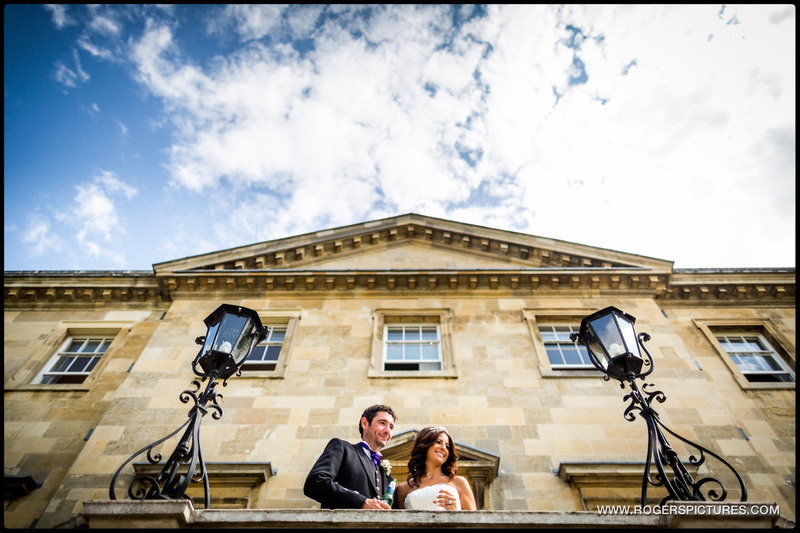 The house has lots of great light and interesting architecture making it a wonderful place to be a wedding photographer. 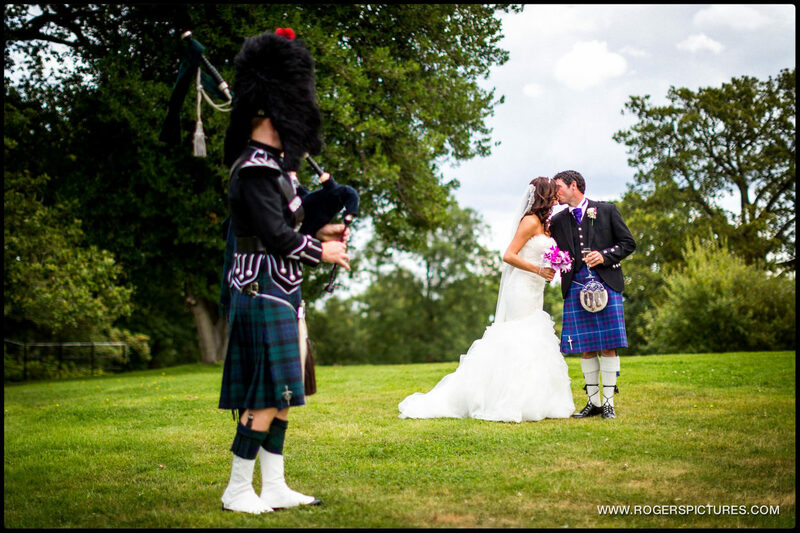 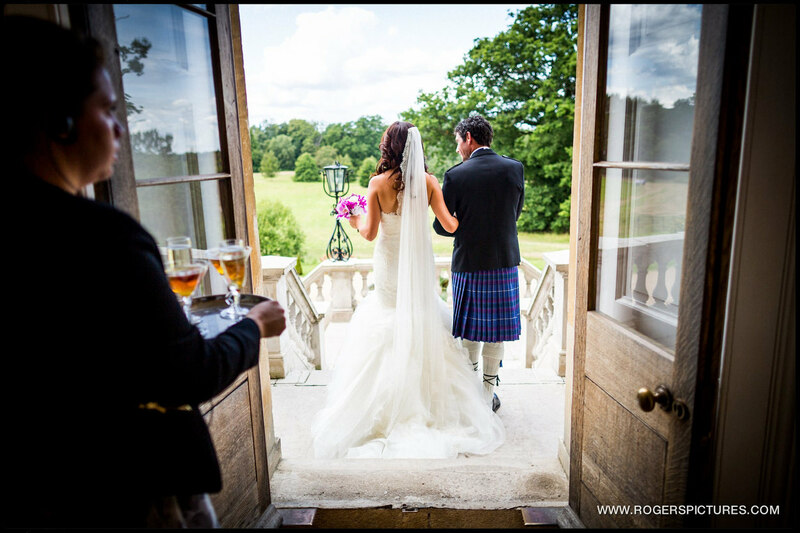 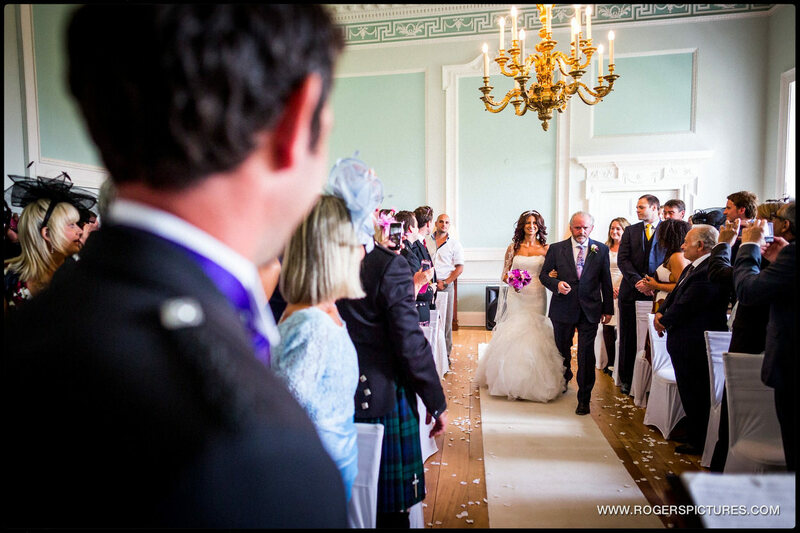 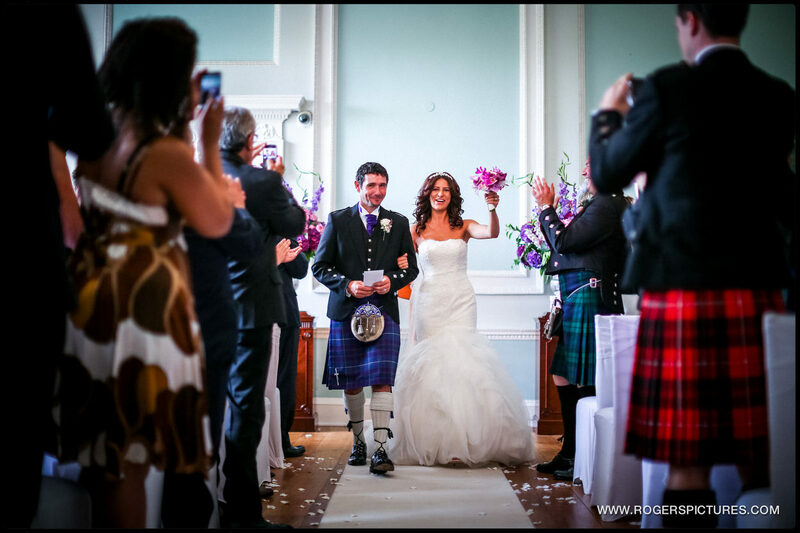 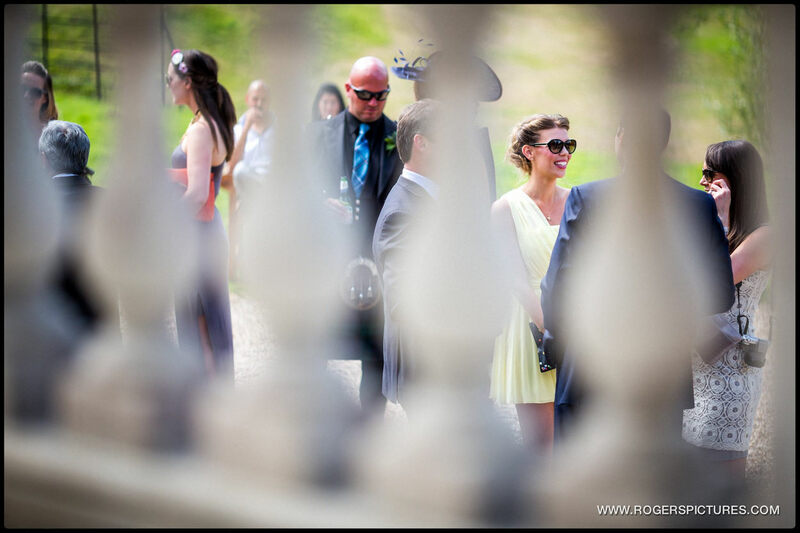 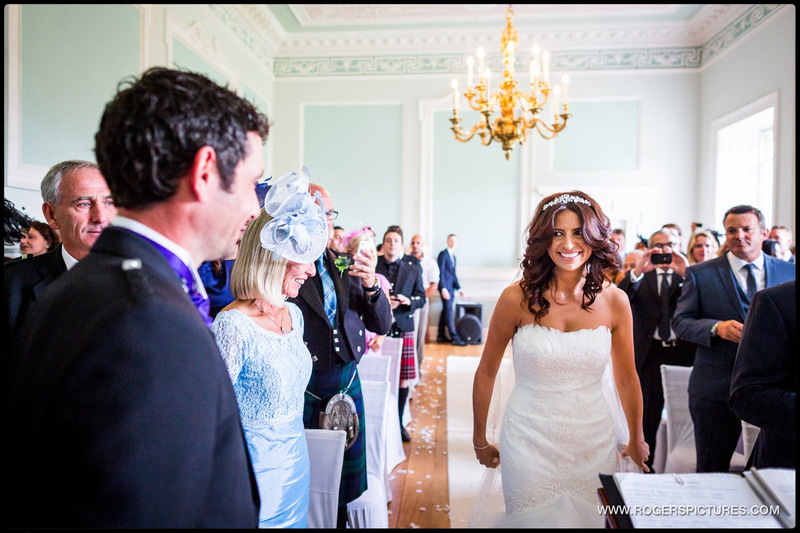 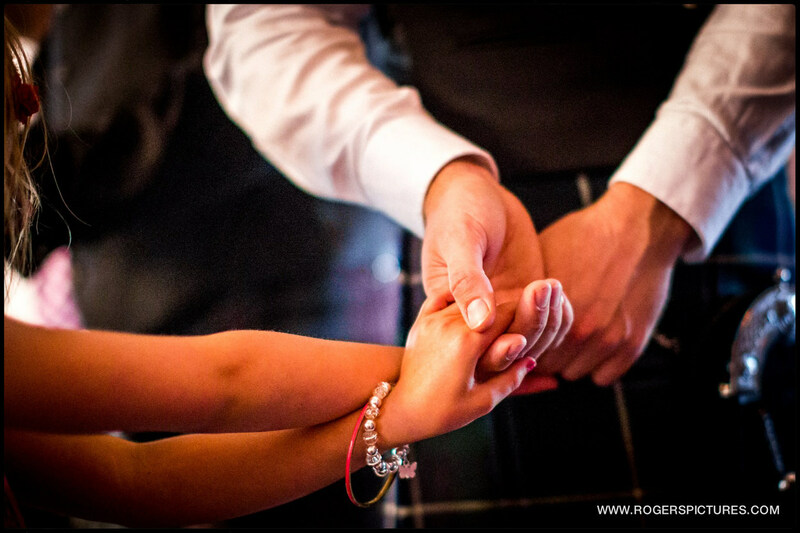 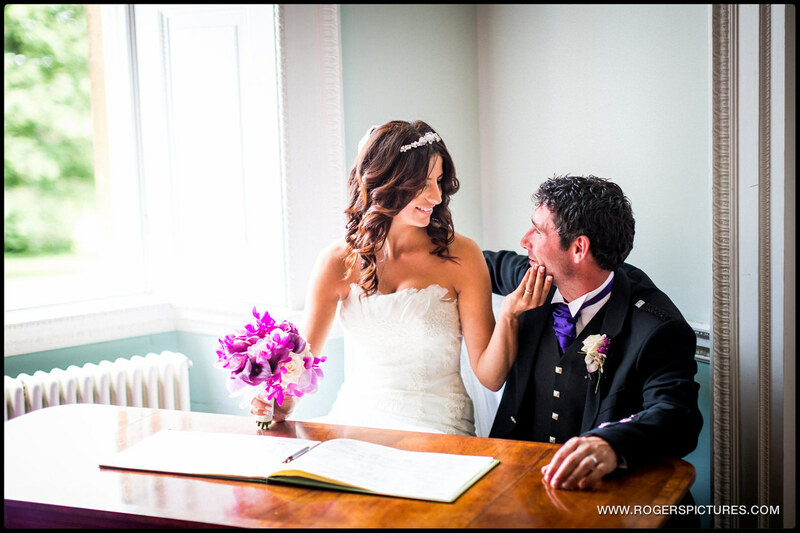 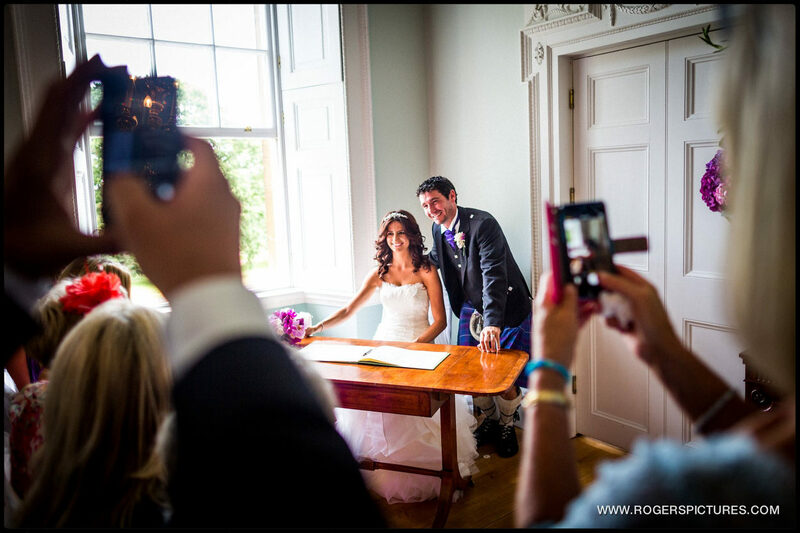 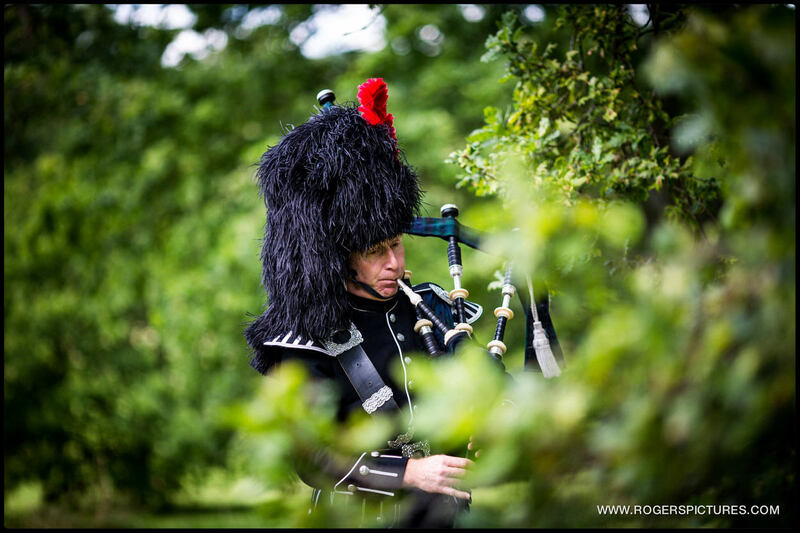 This one had the advantage of photographing a Bagpiper at Botleys Mansion! 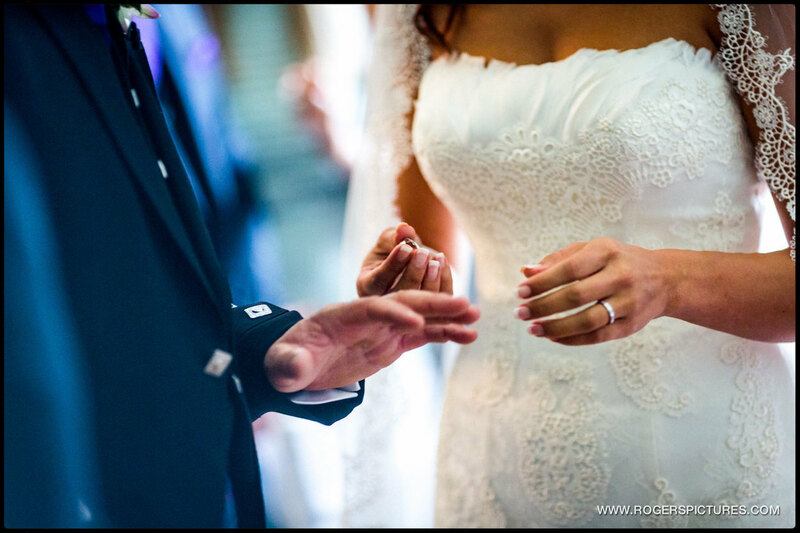 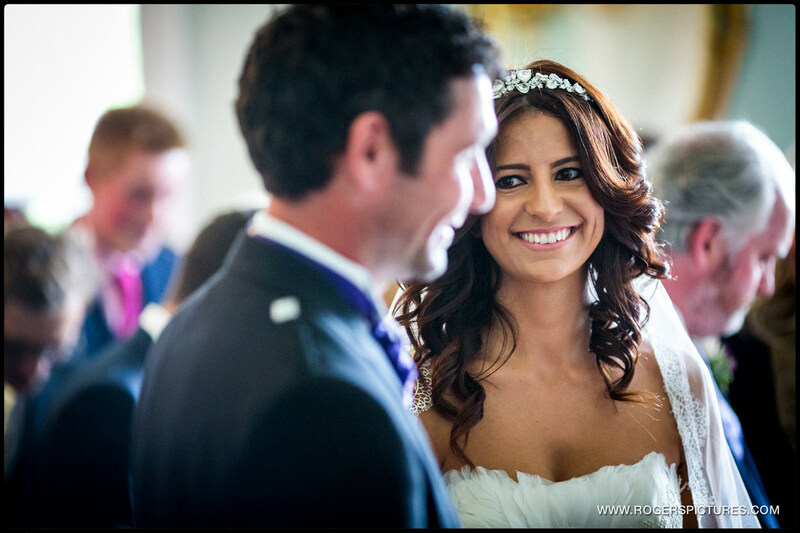 Gaby and Peter had their wedding ceremony in the Green Room. 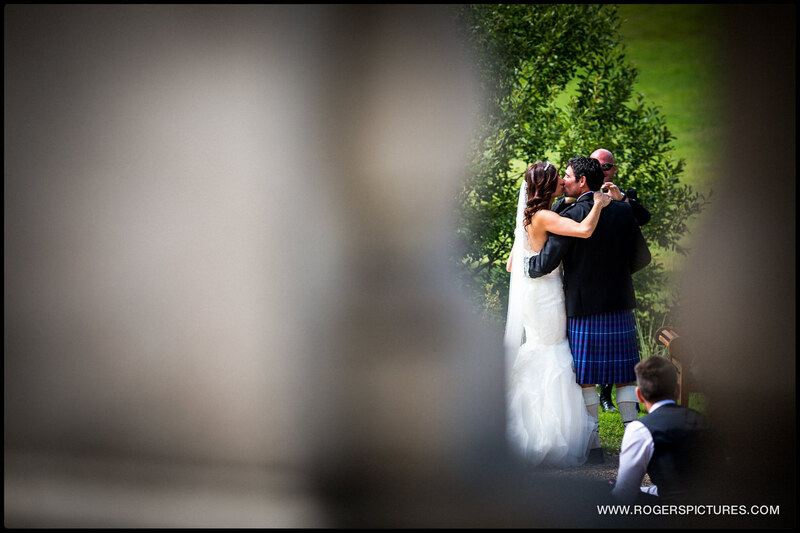 They then joined their guests on the front lawn for drinks and canapés. 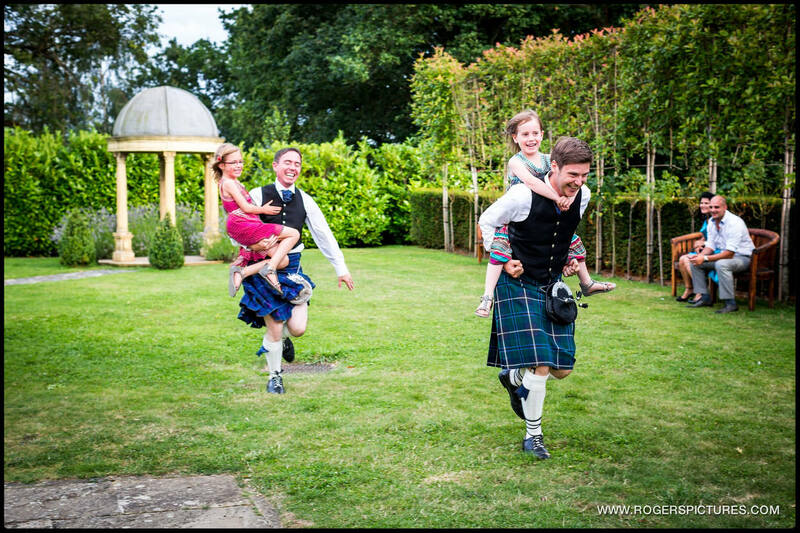 There was a Bagpiper at Botleys Mansion in the form of Piper McKay. 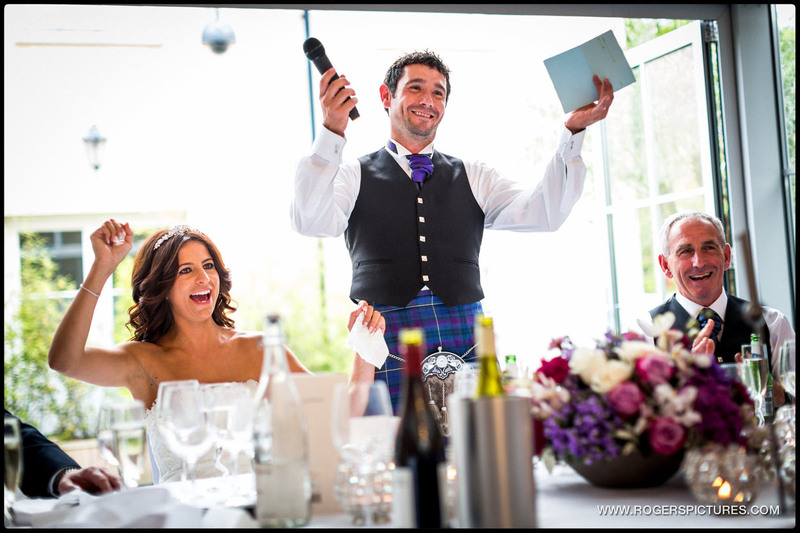 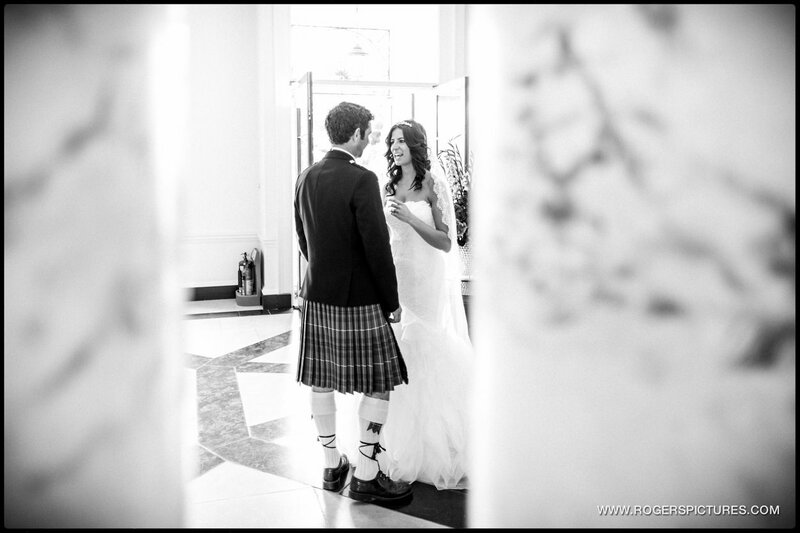 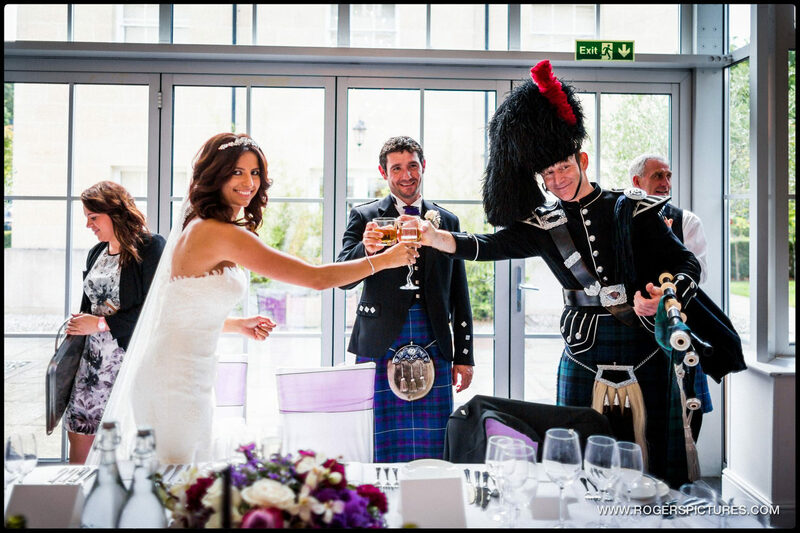 The Scottish bagpiper played for the newly-weds during the drinks reception. 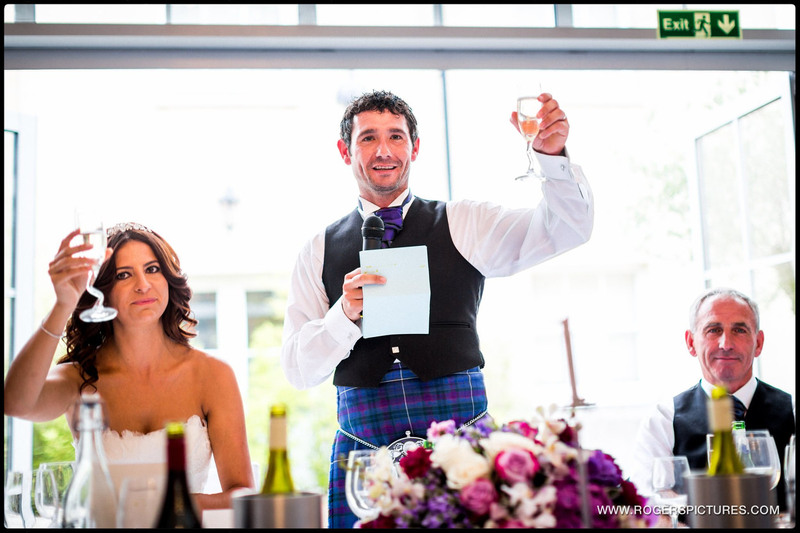 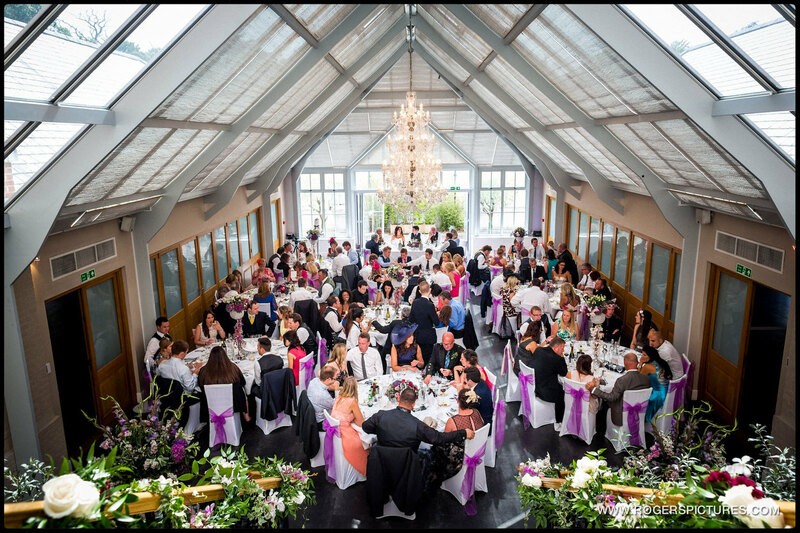 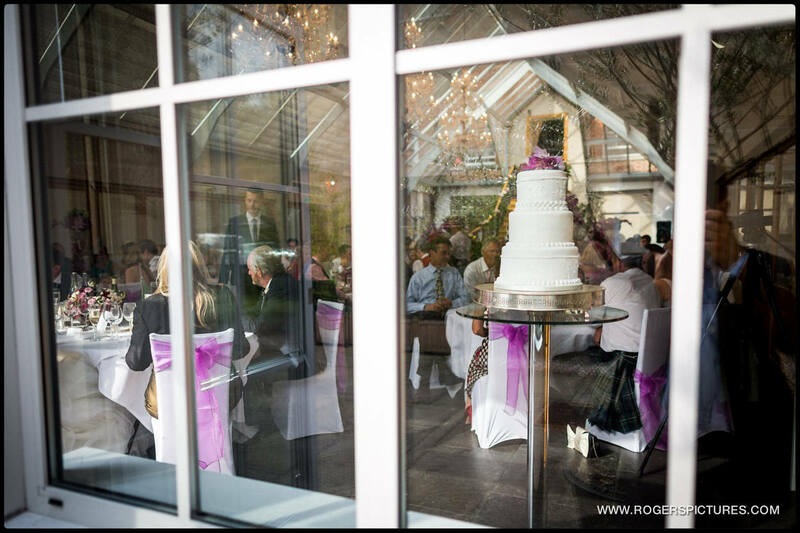 The guests then moved to the glass atrium for the wedding breakfast and speeches. 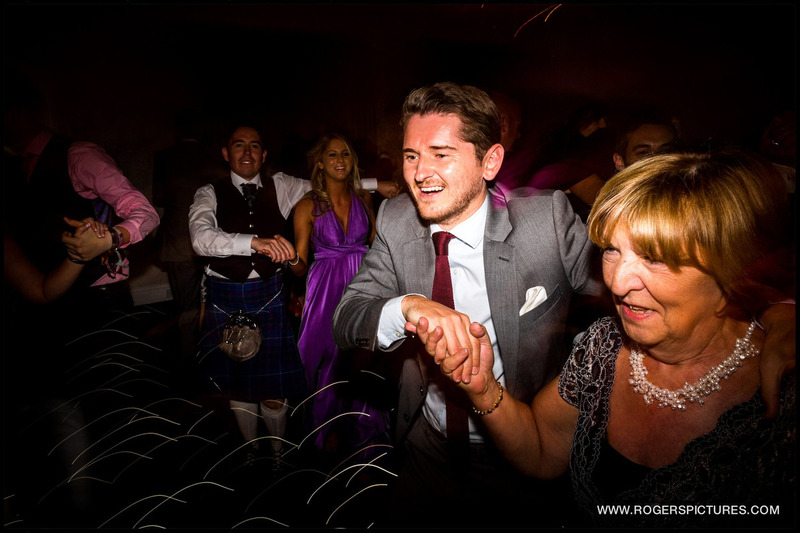 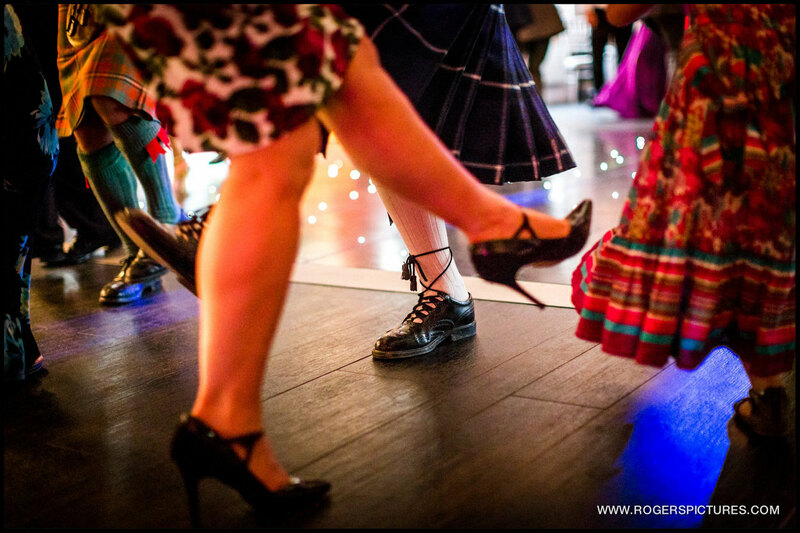 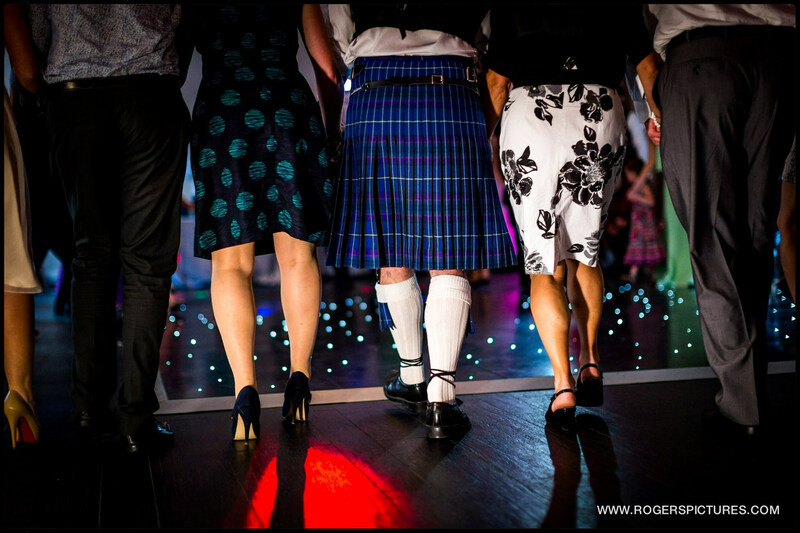 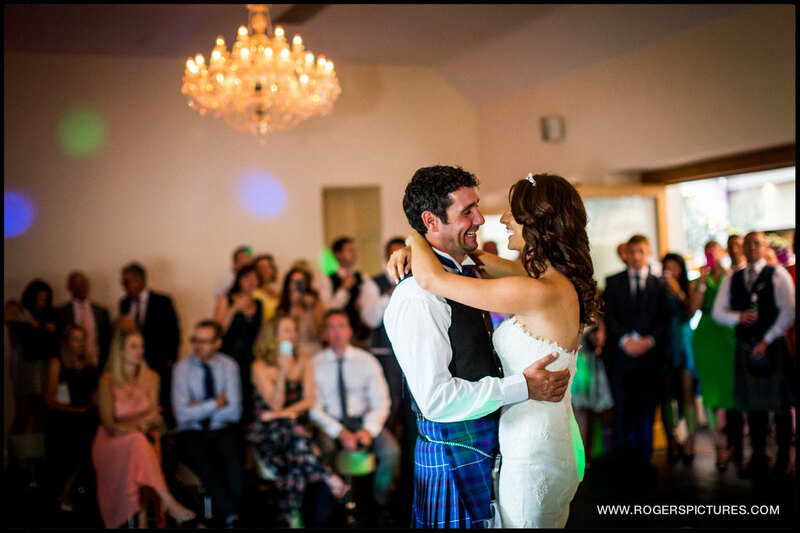 After the first dance, the Scottish theme continued with a Ceilidh, always a hit and guaranteed to get the guests on the dance floor. 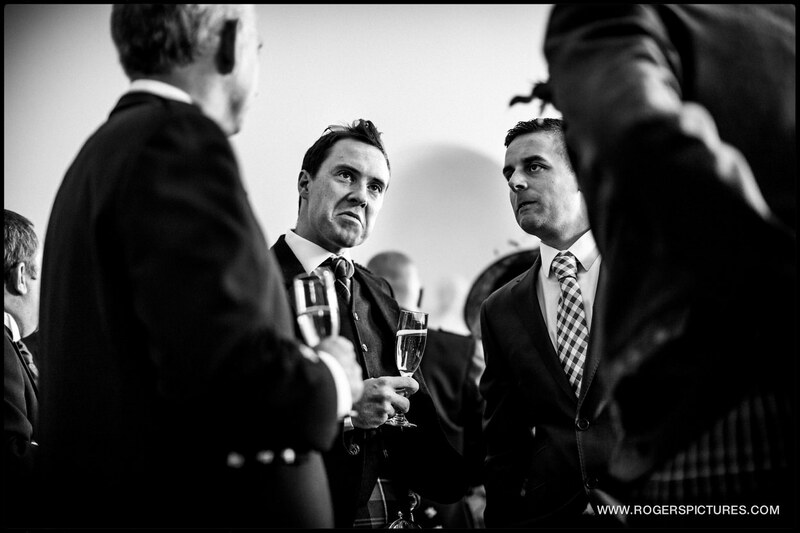 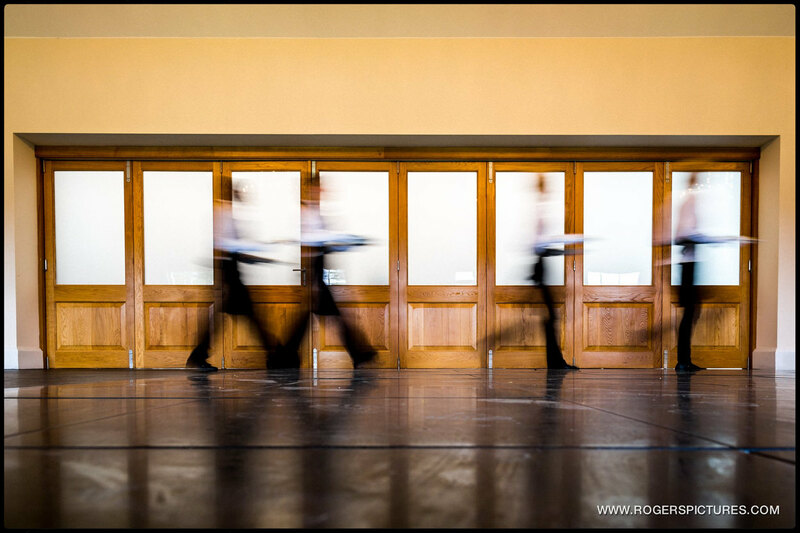 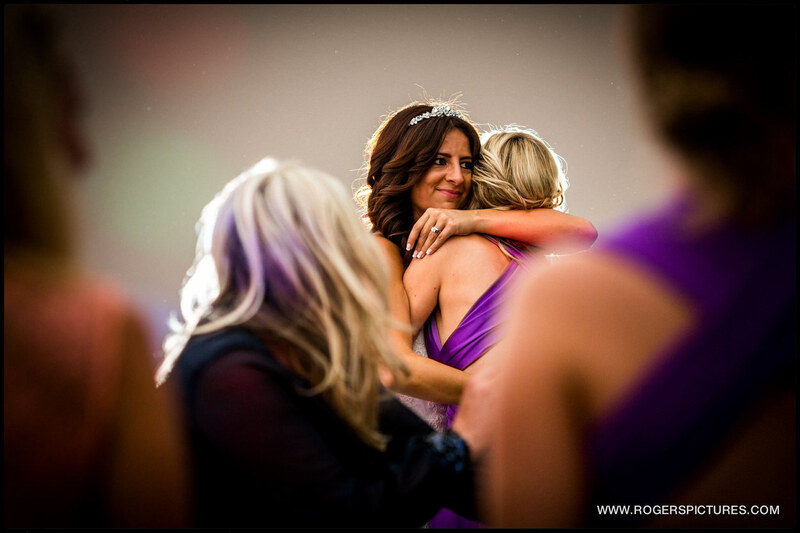 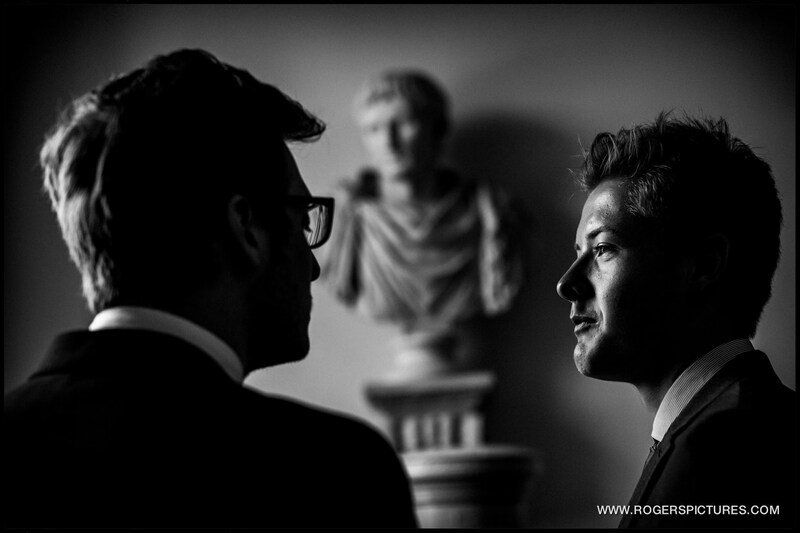 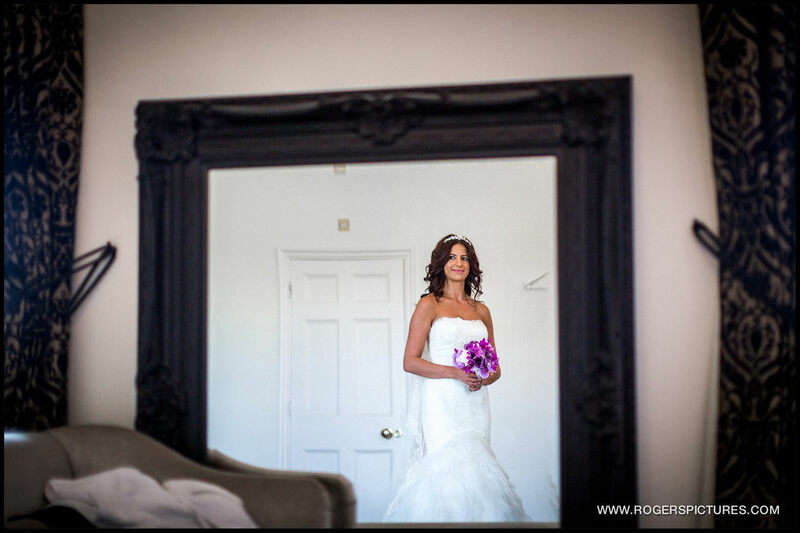 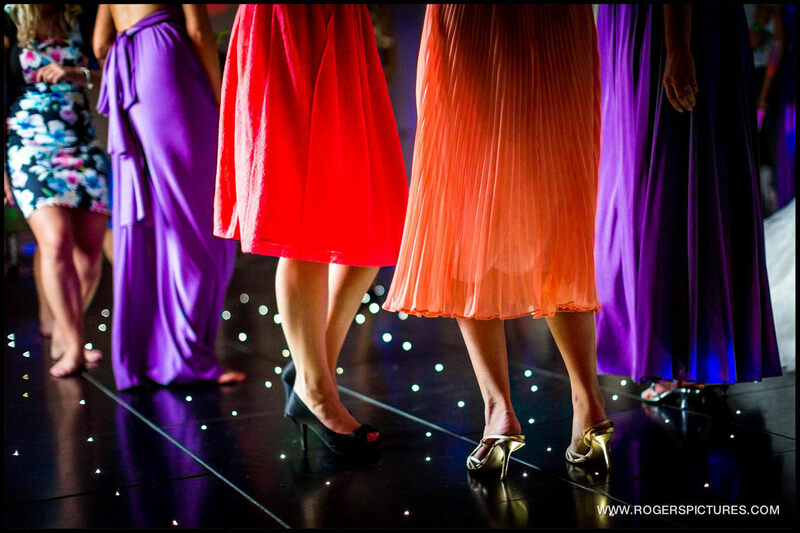 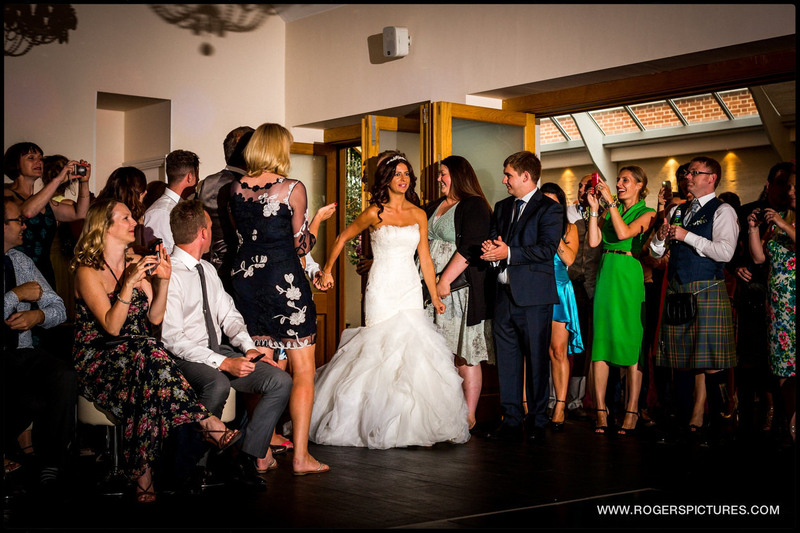 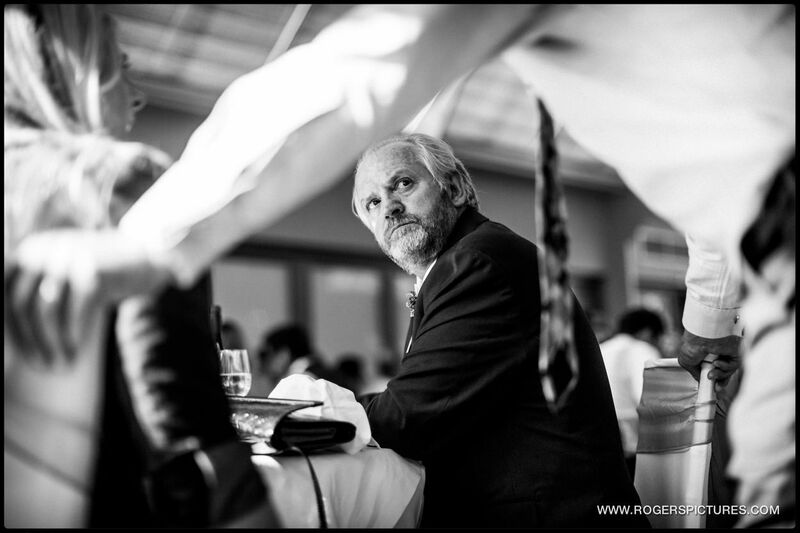 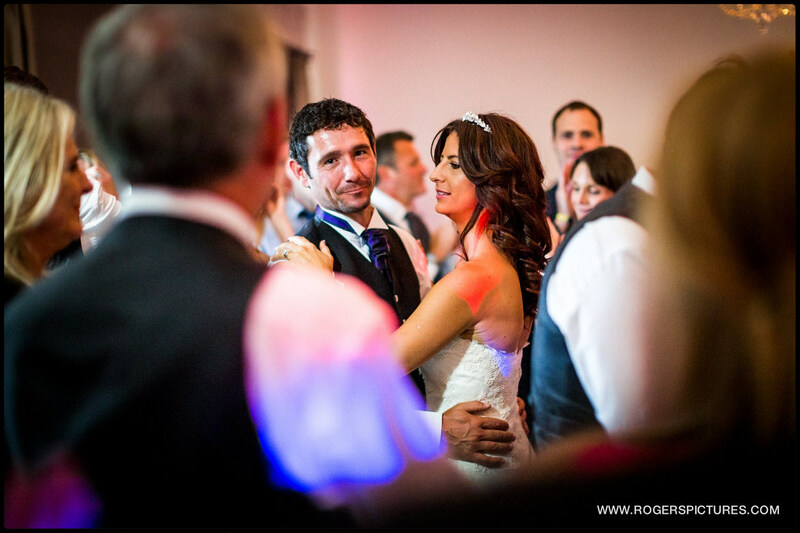 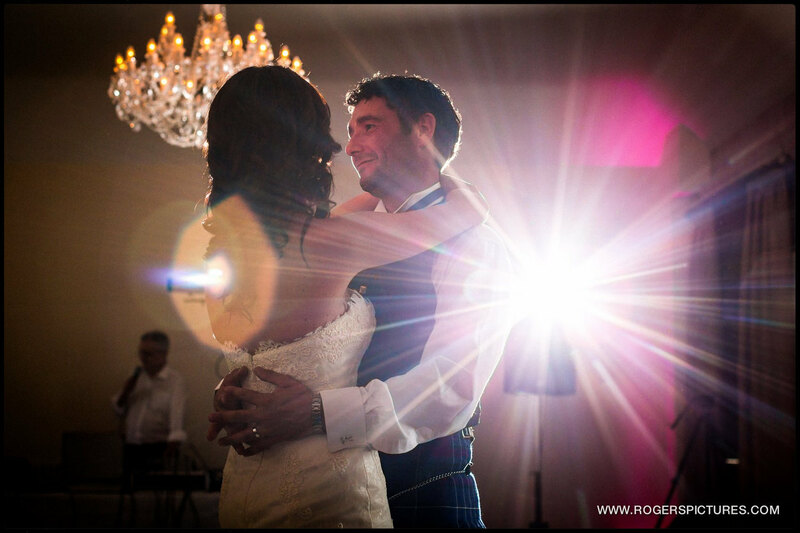 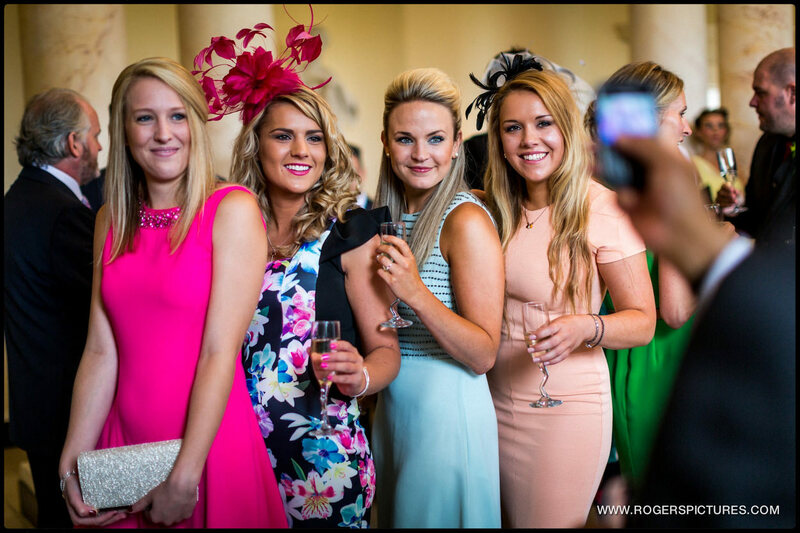 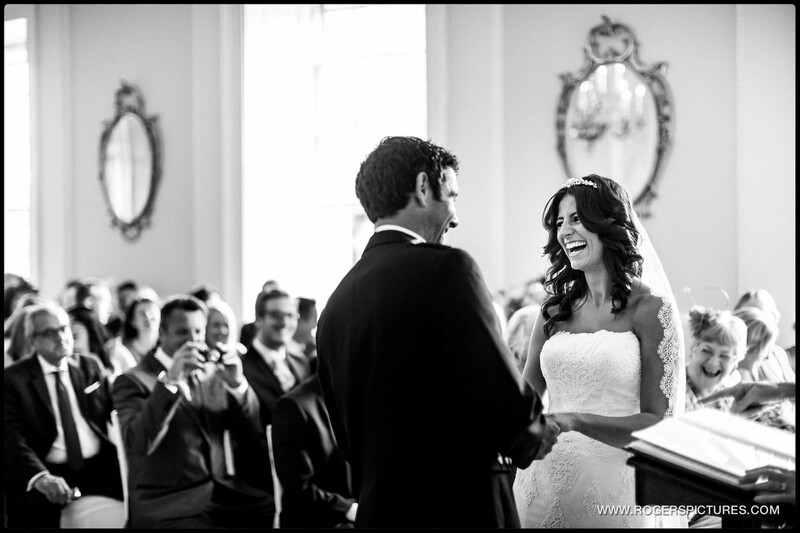 When you combine great light with a stunning venue, the photography can be amazing. 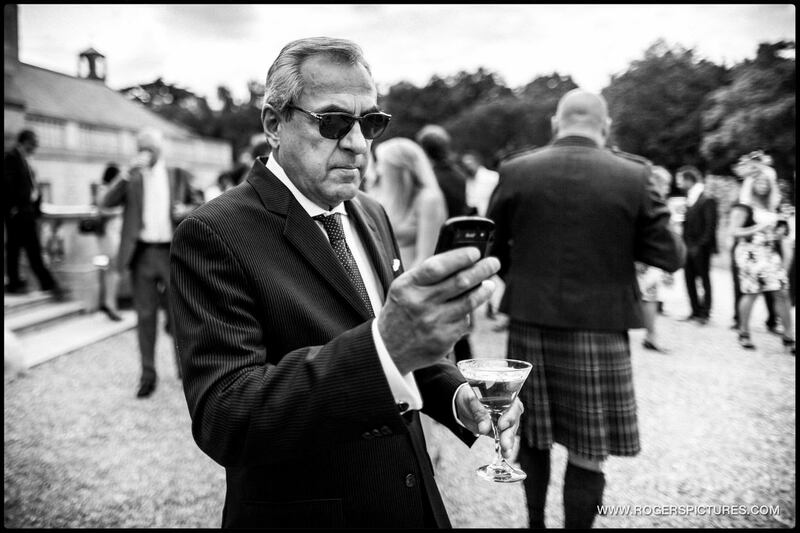 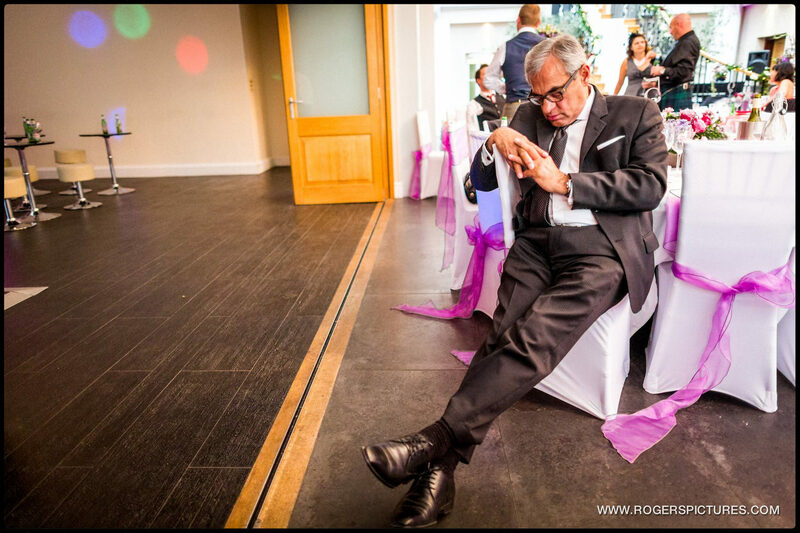 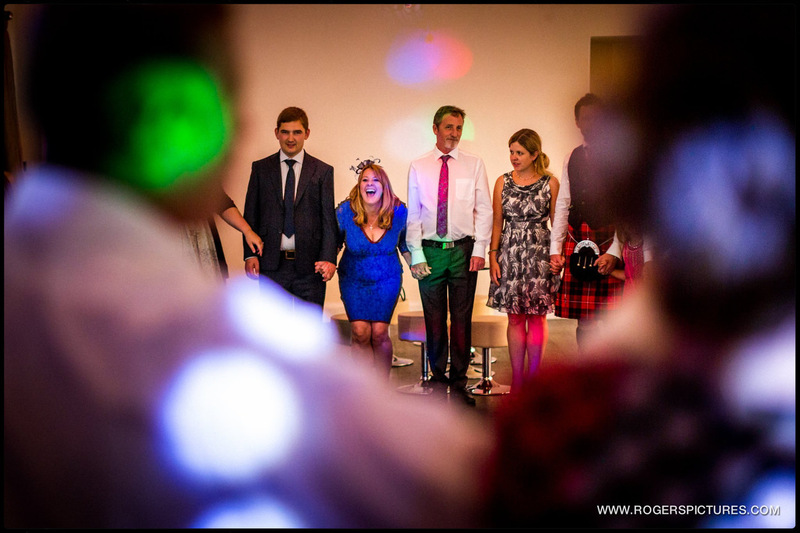 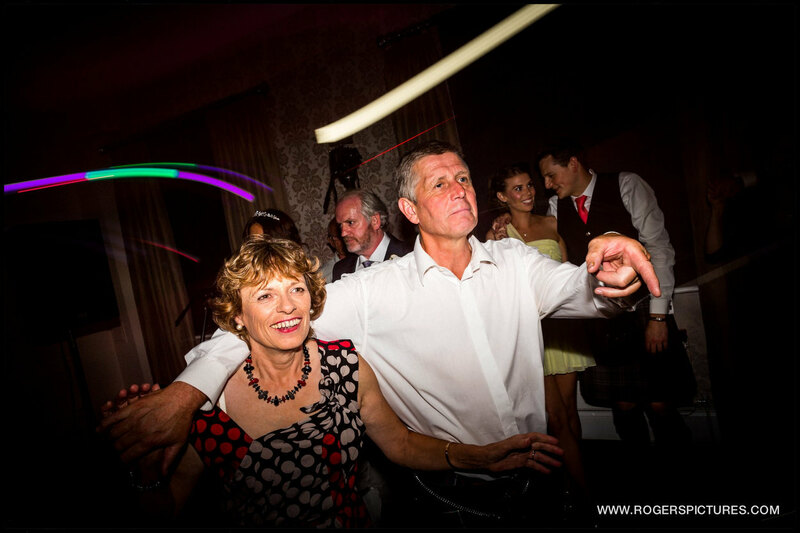 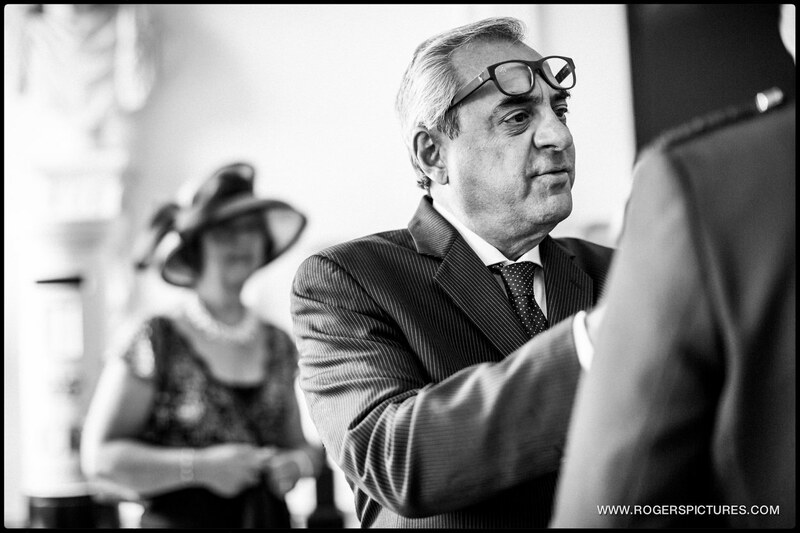 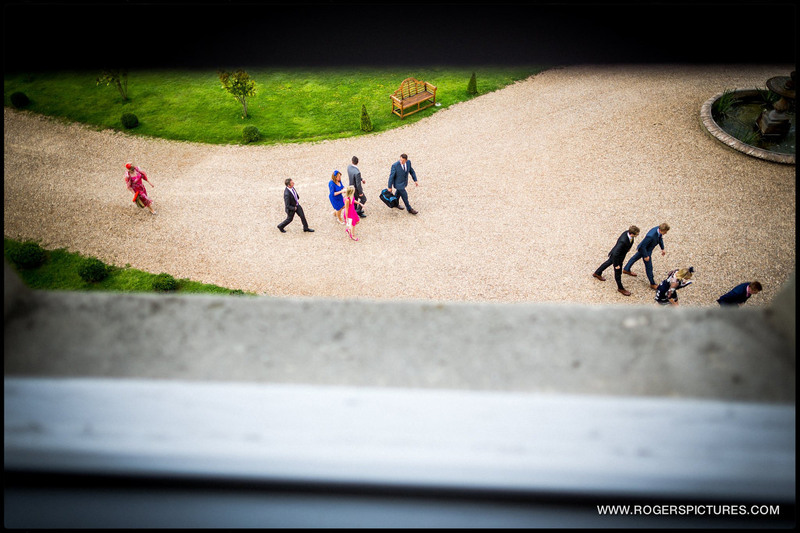 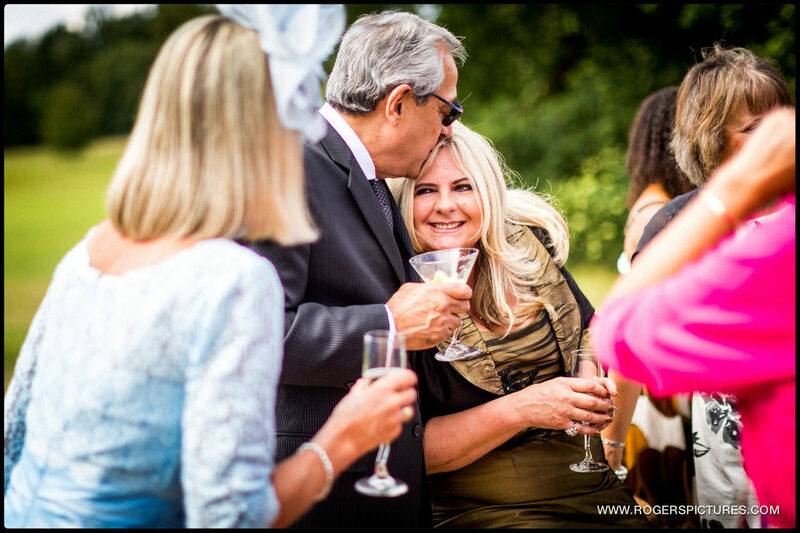 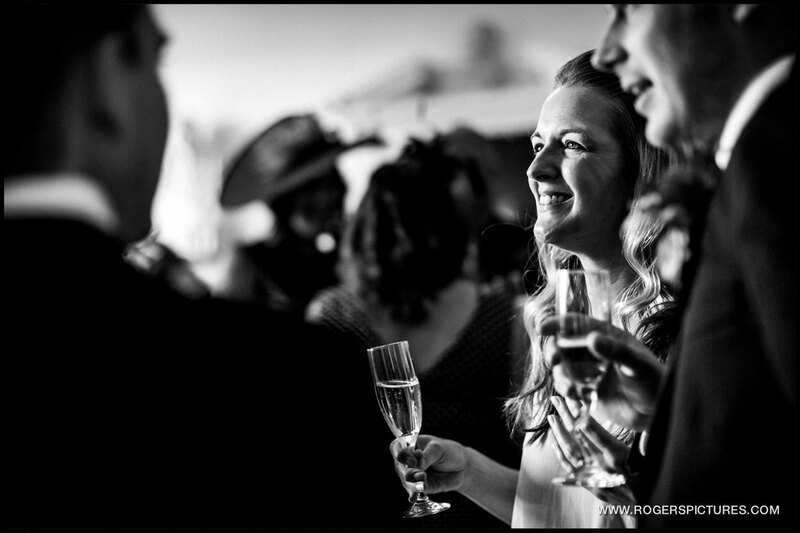 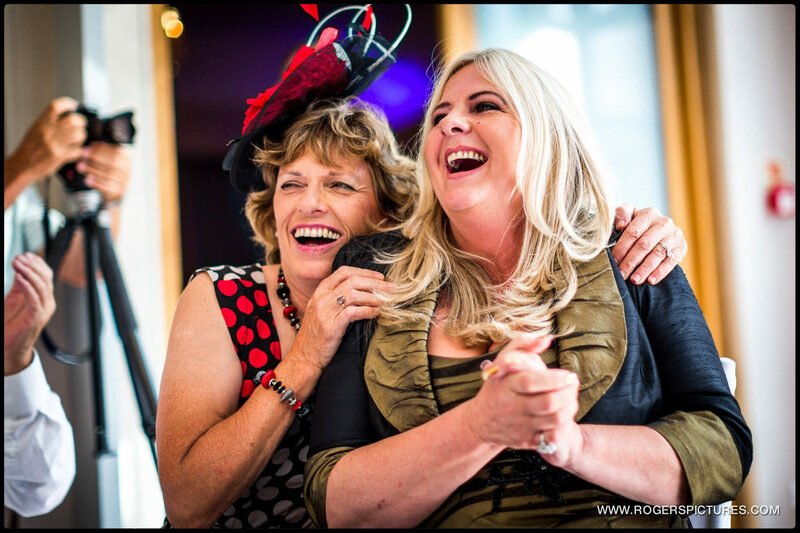 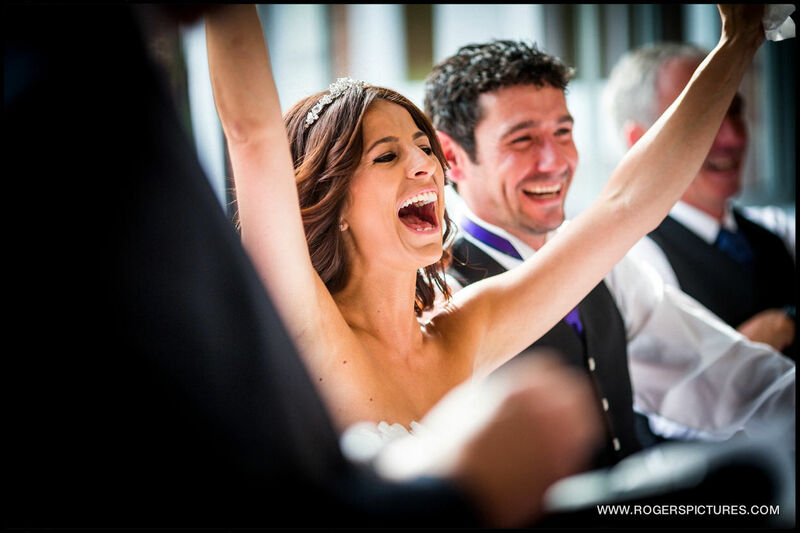 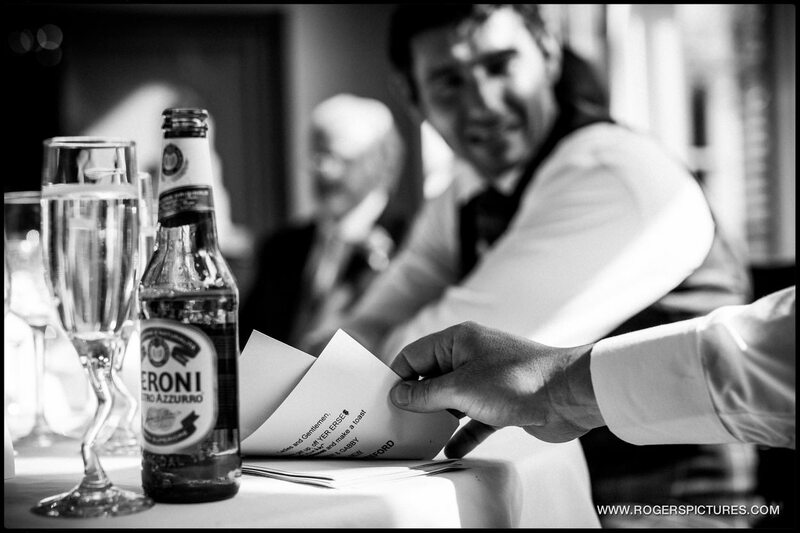 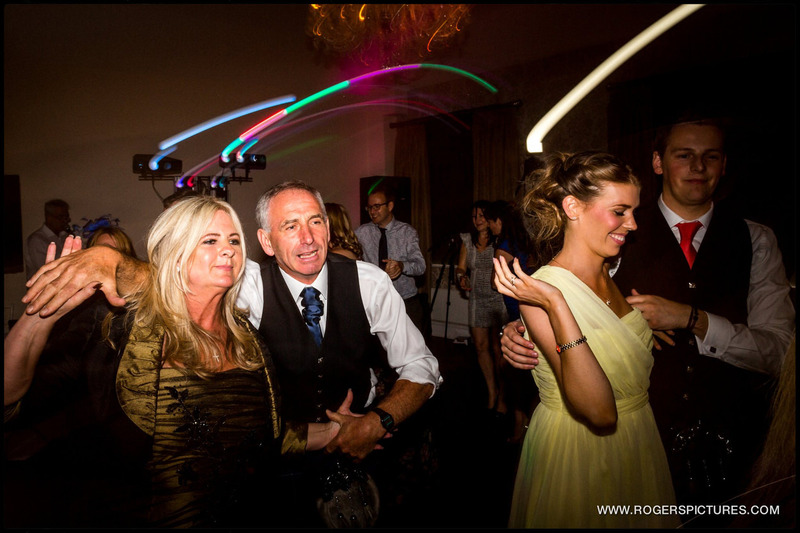 My unobtrusive style of documentary wedding photography fitted perfectly with Gaby and Peter and their guests, who enjoyed a wonderful wedding, with the evening party just getting going as my coverage came to an end. 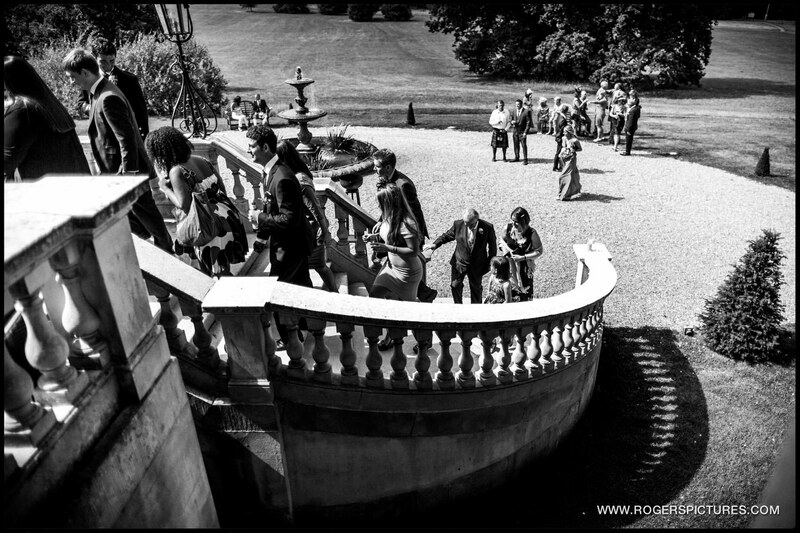 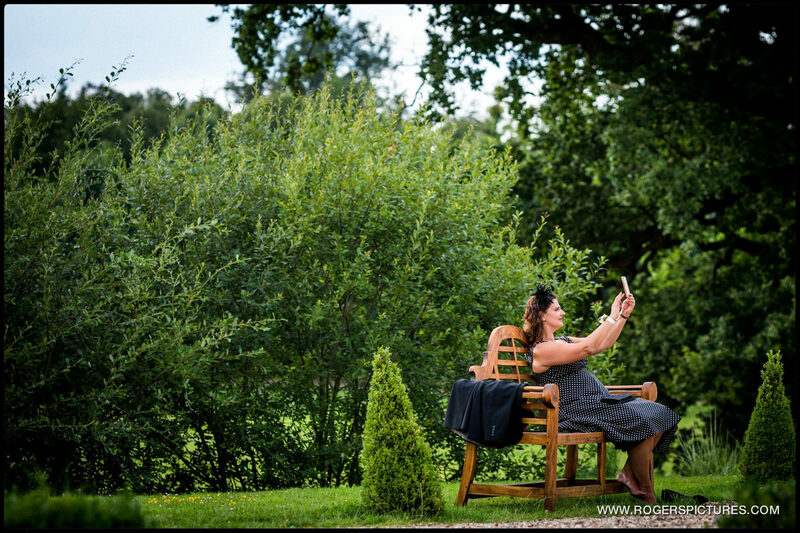 If you’re searching for a Botleys Mansion wedding photographer, and like the look of this style of photography, please get in touch to check if I’m available on your date. 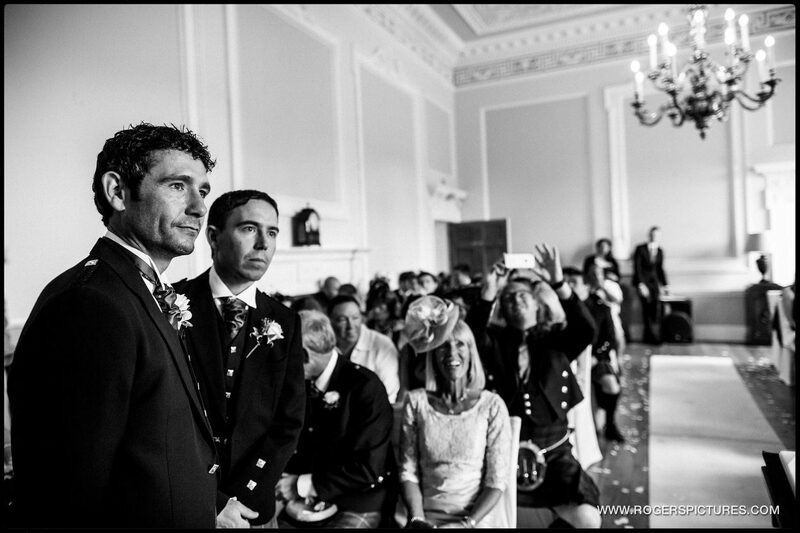 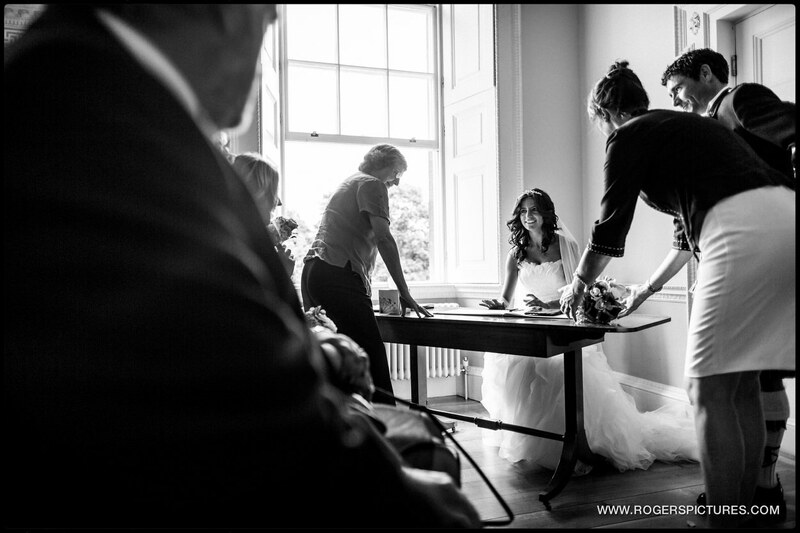 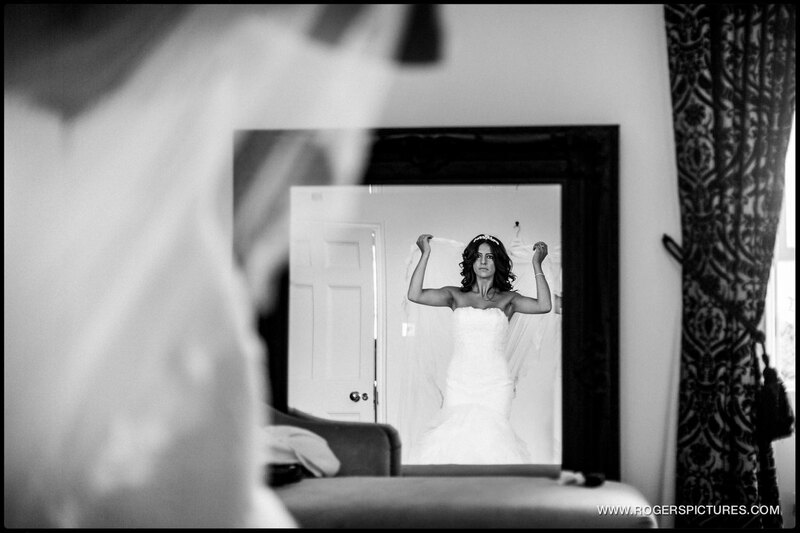 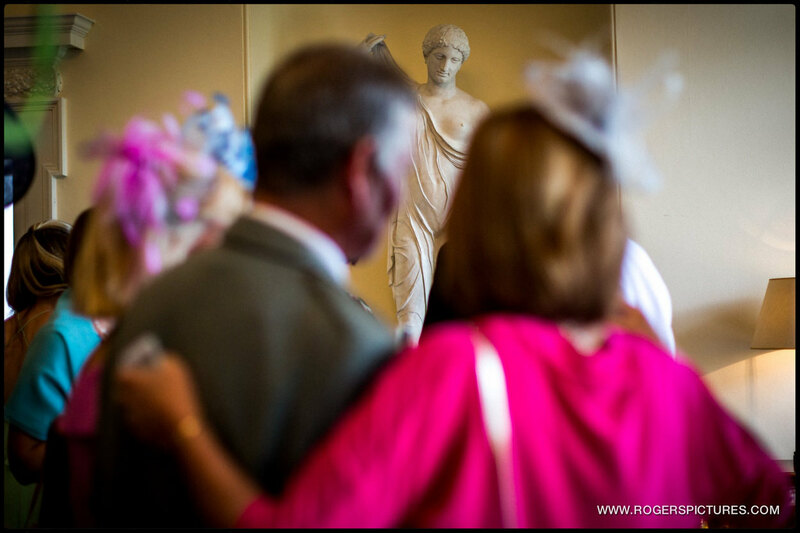 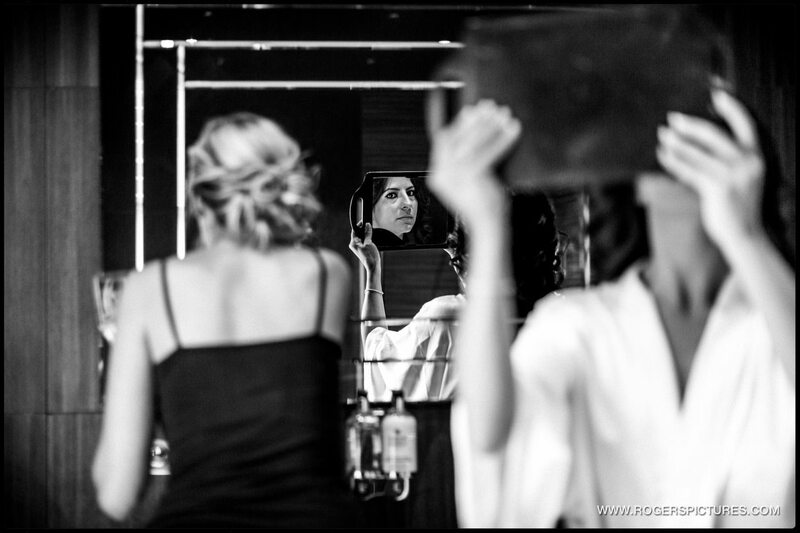 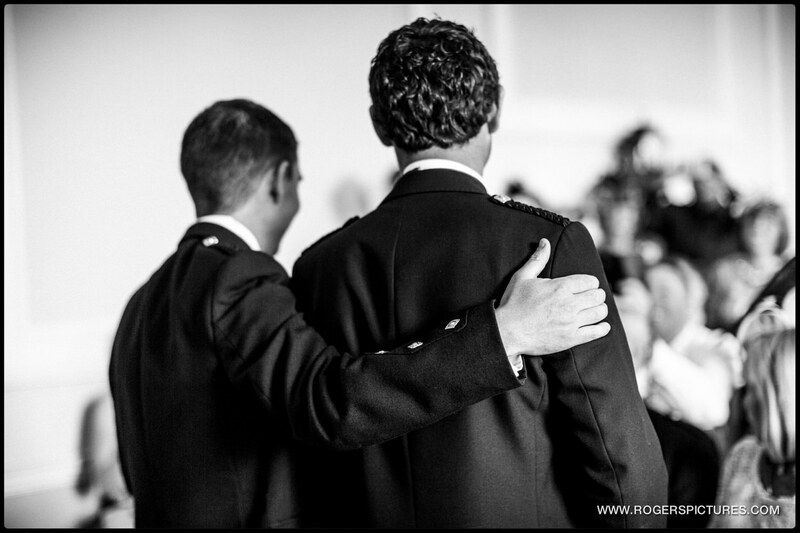 Or have a look through some more of my recent weddings in the wedding blog. 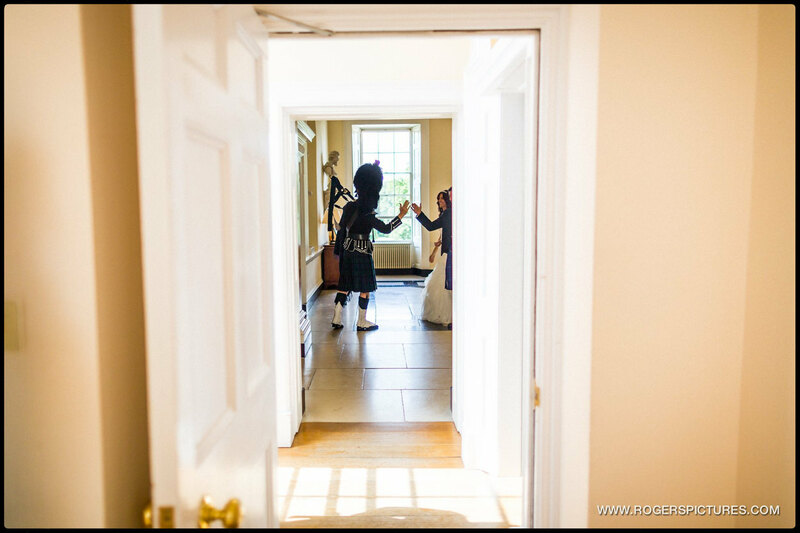 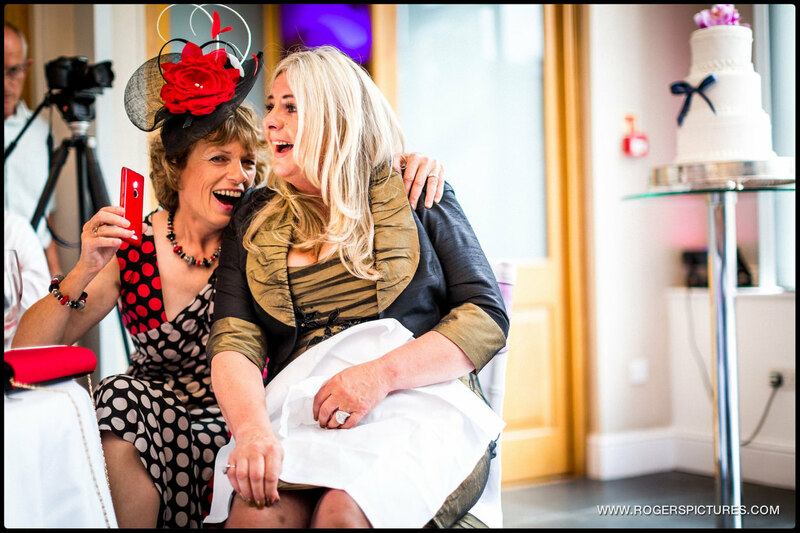 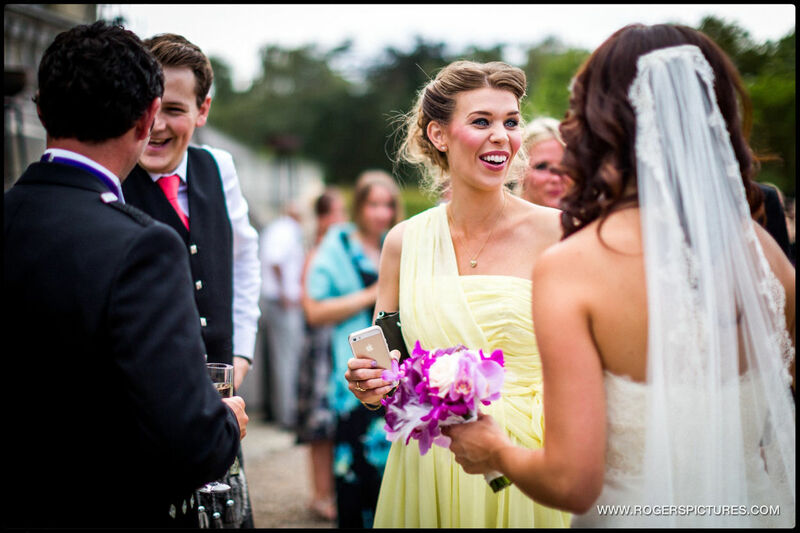 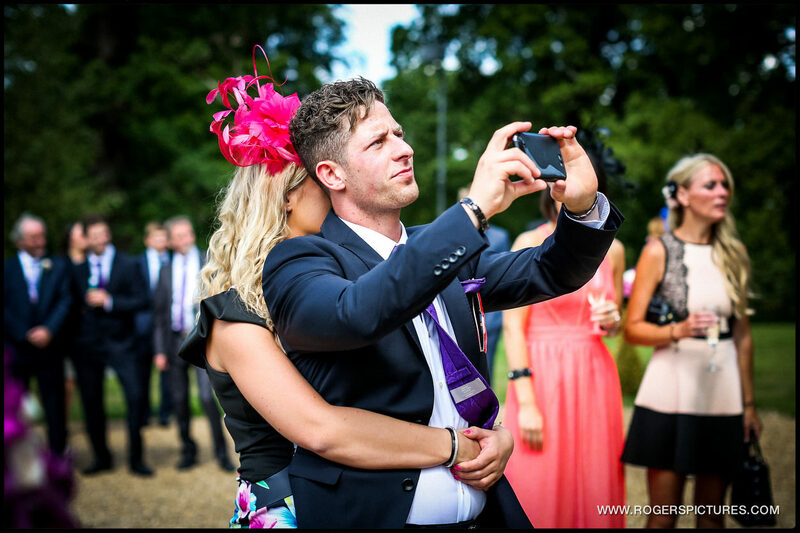 For other Bijou weddings, check out this Notley Abbey Wedding.